Register today for Coach Lewis's 9-week Sports Performance Training Program. The focus of the program is to improve the player's speed, agility and strength. The goal is to improve player’s performance and reduce injuries through improving the overall Athlete. Options to train 1-time per week or 2-times per week. Speed, agility, strength, explosiveness, and stamina—these are all traits soccer players need to go hard for 90 minutes in a field. 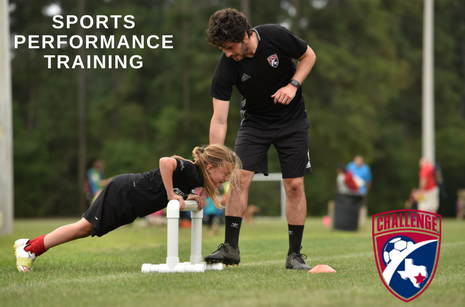 Athletes of all ages benefit from sports performance training!